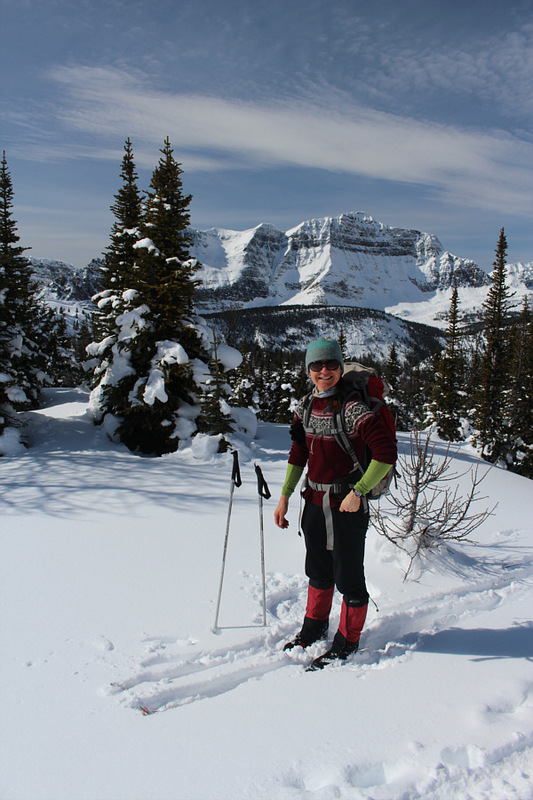 Zosia Zgolak and I hooked up for another ski tour on 19 March 2016, and although we started the day without any firm plans other than to head to Sunshine Meadows in Alberta’s Banff National Park, we ended up ascending nearby Quartz Ridge, a popular ski objective. 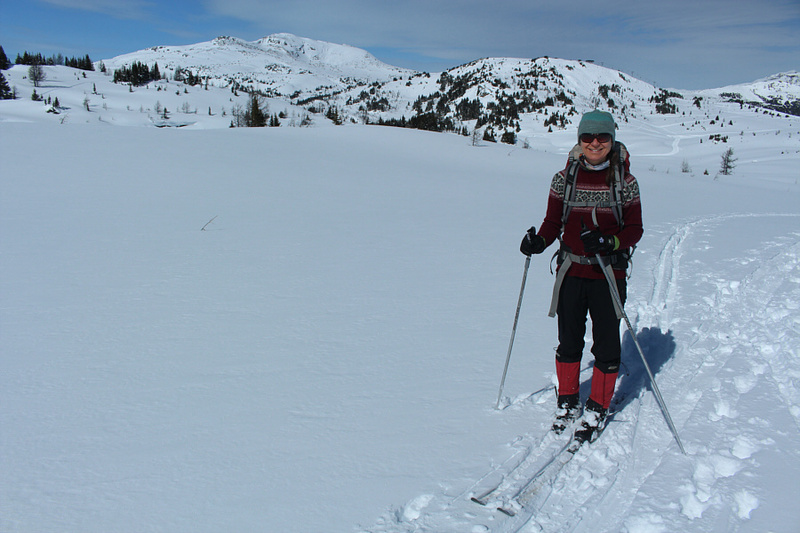 While Zosia brought along her usual light touring skis on this day, I opted to use my heavier AT gear largely because I needed the practice. Starting from Sunshine Village ski resort’s lower gondola station, we skinned up the ski-out which was in surprisingly excellent shape given recent warm temperatures. Ironically, our lone route-finding issue of the day happened on our way up the ski-out when we inadvertently turned up the wrong ski run and ended up at the top of the Wolverine Express chairlift. 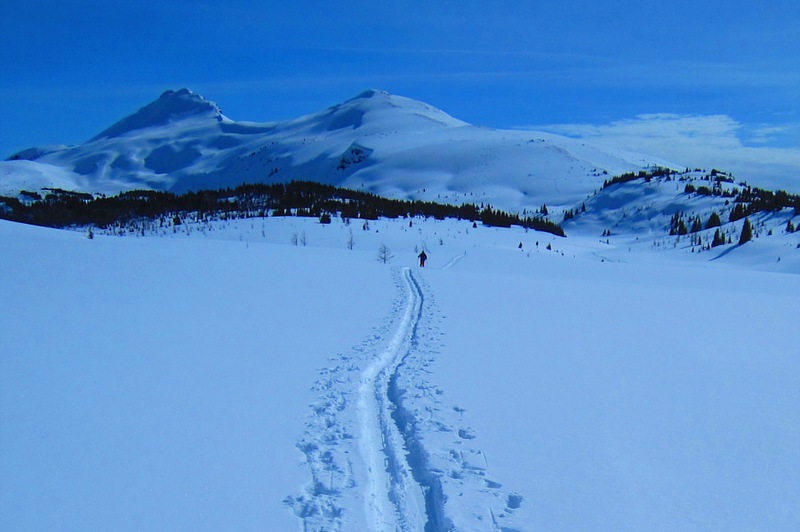 Once we realized our mistake, we removed our skins and skied down a couple of short easy runs to get back on track. When we arrived at Sunshine Village, we stopped for an extended break inside the lodge to warm up and have a bite to eat (we ran into Ben Wards here). After our break, Zosia and I skinned up to the top of the Strawberry chairlift and the edge of the ski resort. 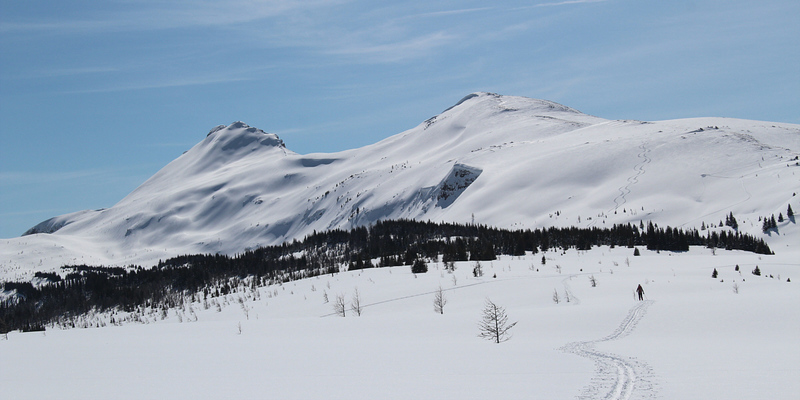 Although we could see Quartz Ridge across Sunshine Meadows, we were, at this point, still uncommitted about where to go. 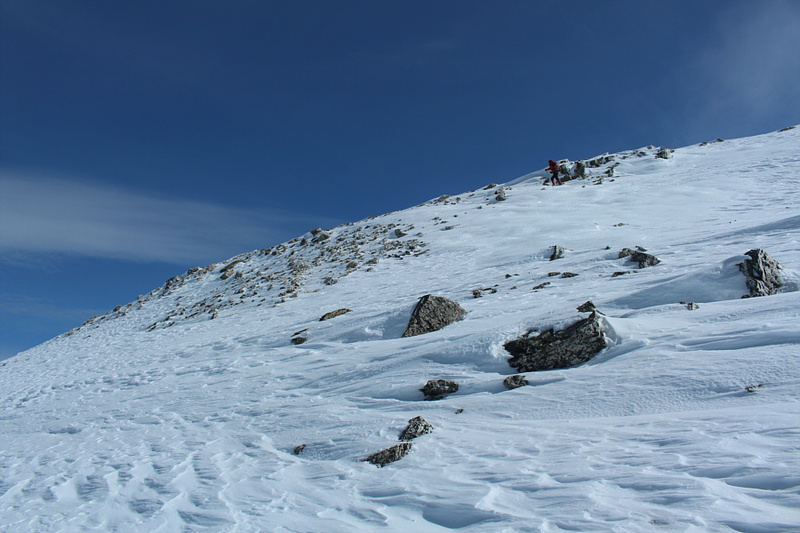 The avalanche danger was rated “high” in the alpine zone on this day, and we were unsure if it would be safe enough to ascend Quartz Ridge. 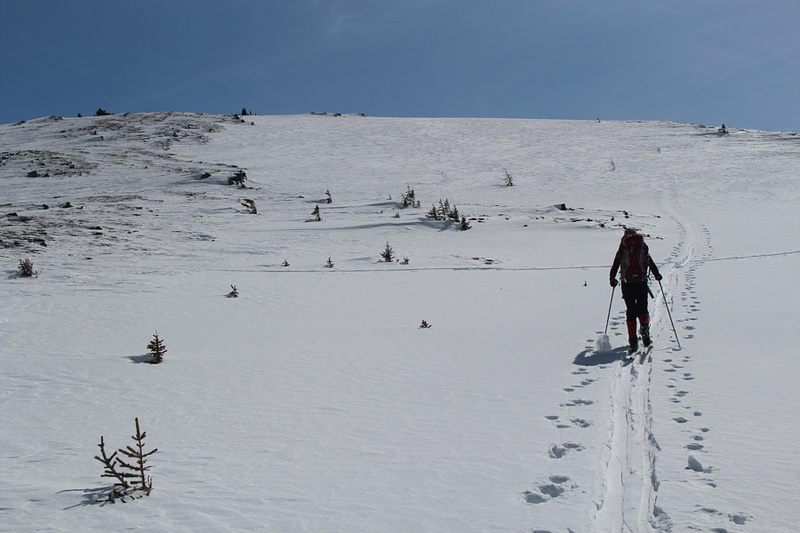 Regardless, we followed one of several ski tracks running across the flat expanse of Sunshine Meadows and eventually entered a shallow draw near the north end of Quartz Ridge. 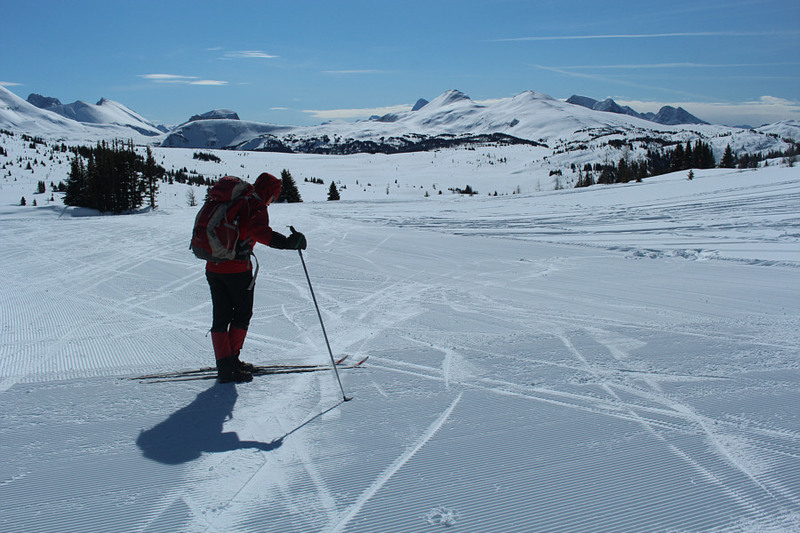 We had the option to turn north here and ski over some low ridges in and around Rock Isle Lake, but the ski tracks we were following turned south and headed up Quartz Ridge. The northern half of Quartz Ridge is broad, windswept and, most importantly, not too steep, and we felt that it was quite safe to continue climbing up. Other than having to dodge a few rocks here and there, we had no difficulty skinning all the way to the top. 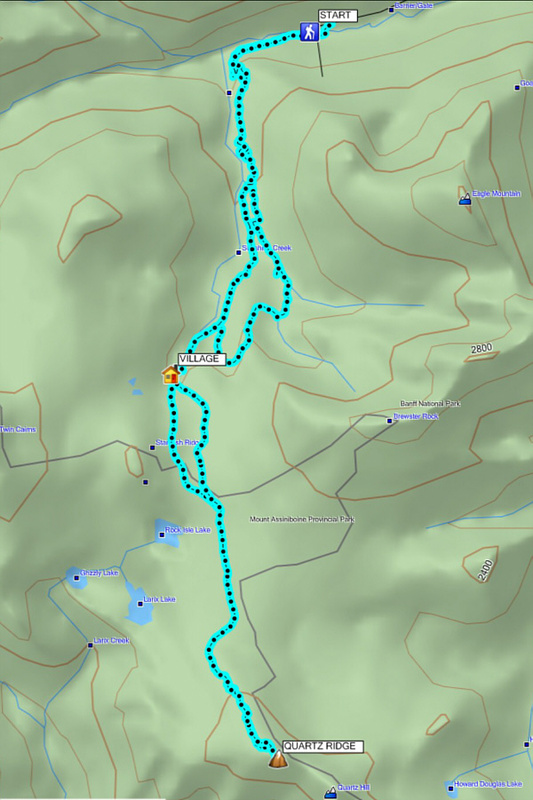 While it would have been nice to tag nearby Quartz Hill which is slightly higher, the high avalanche danger put to rest any thoughts about even making an attempt. 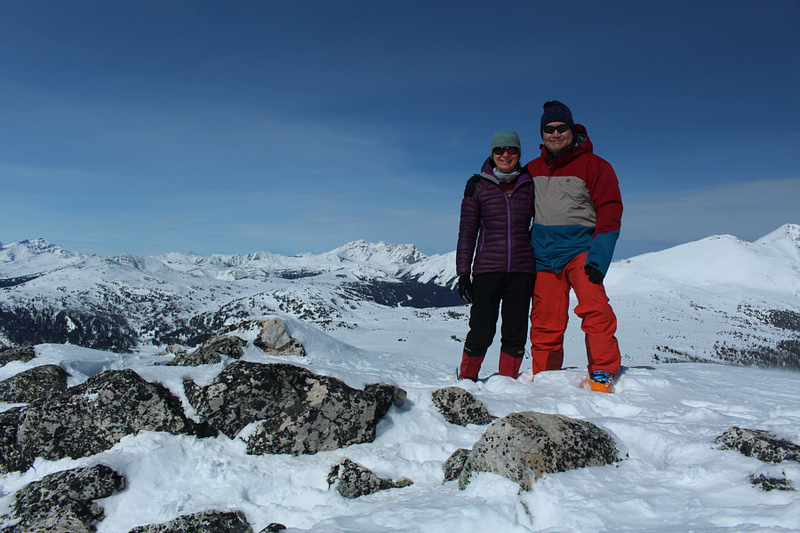 Instead, Zosia and I snapped our requisite photographs from the top of Quartz Ridge before skiing back down our ascent route. We initially kept our skins on to make it easier to negotiate through a couple of rocky sections, but we eventually took them off about halfway down the ridge. 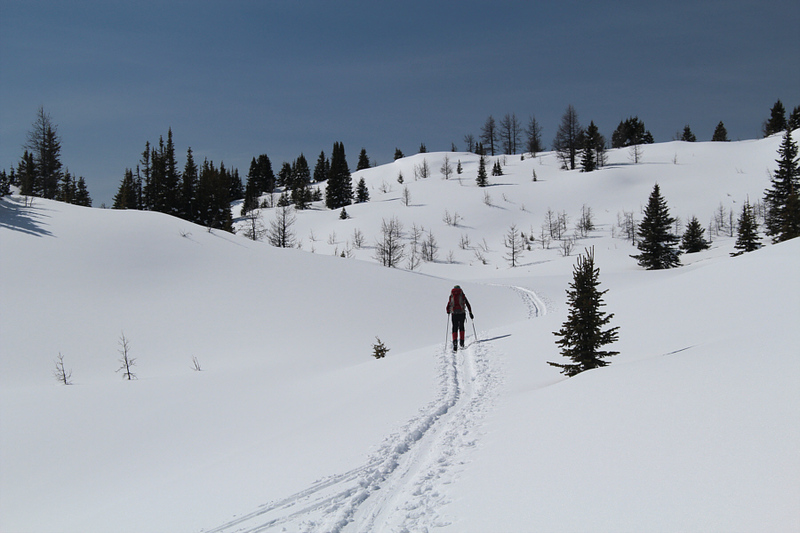 We left our skins off while traversing back across Sunshine Meadows, and while Zosia seemingly glided with little effort, the ever-so slight uphill to get back to the ski resort was a bit of a challenge for me and my AT gear. I probably would have been better off to stop and re-apply my skins, but I was simply too lazy to do so. Consequently, I moved like molasses across most of Sunshine Meadows, and Zosia is to be commended for being very patient with me. 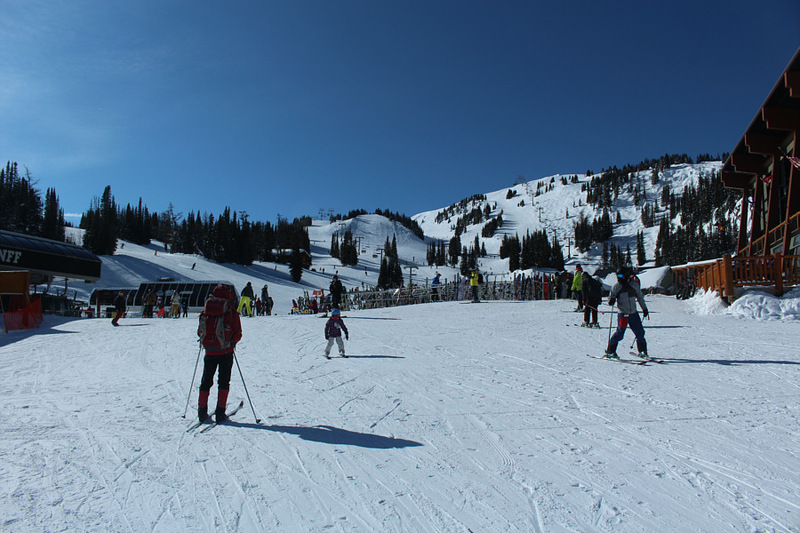 She even skied back and forth a few times while waiting for me to catch up to her. My skiing improved once we re-entered the ski resort, and we were soon back at Sunshine Village to take our second extended break of the day. This second break allowed us to recharge a bit, but more significantly, it allowed most of the remaining resort riff-raff to clear the ski-out. 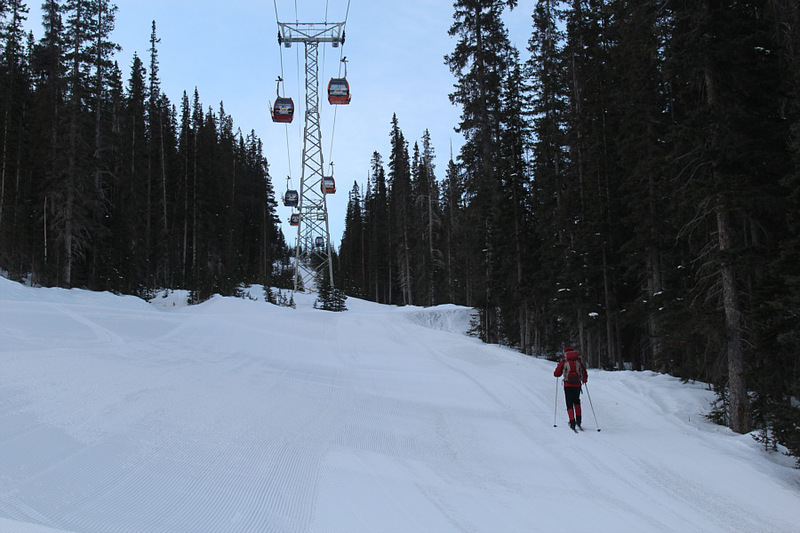 When we finally resumed skiing, the ski-out was virtually deserted which made for a most enjoyable and relaxing run back to the lower gondola station (we ran into Ben Wards again at the bottom). After struggling all day to keep up with Zosia, I was finally able to take advantage of my AT gear and ski ahead of her going down the ski-out. It was nice to be able to stop and wait for her for a change! 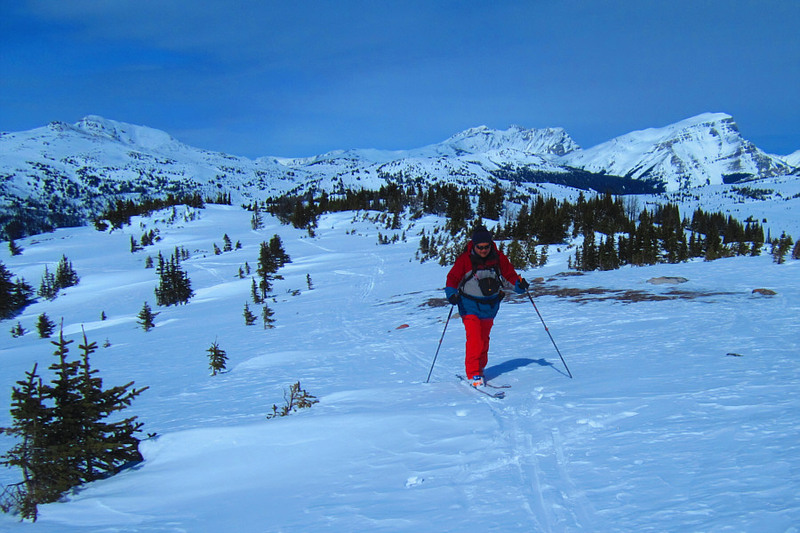 Despite all my tribulations with my AT gear, Quartz Ridge turned out to be an amazing ski tour, and I look forward to returning someday to tag Quartz Hill, perhaps under more favourable avalanche conditions. Zosia climbs up the ski-out under the gondola. 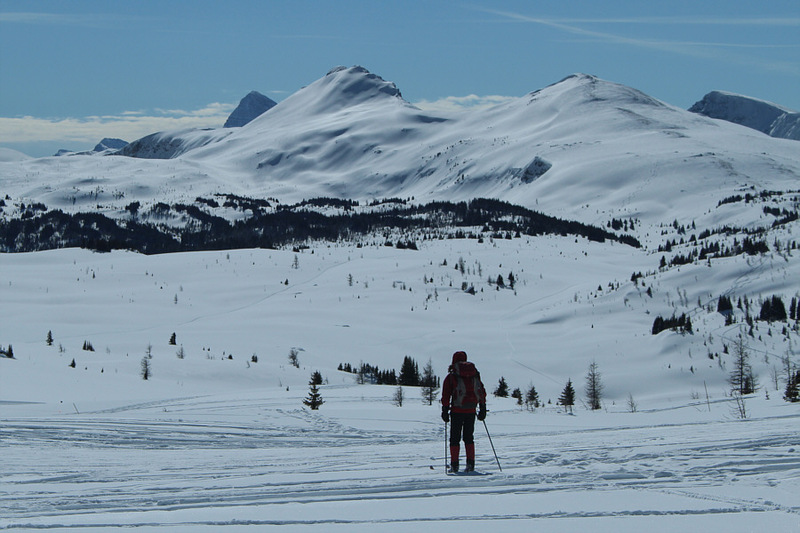 Zosia steps back into her skis after removing her skins at the edge of the ski resort. 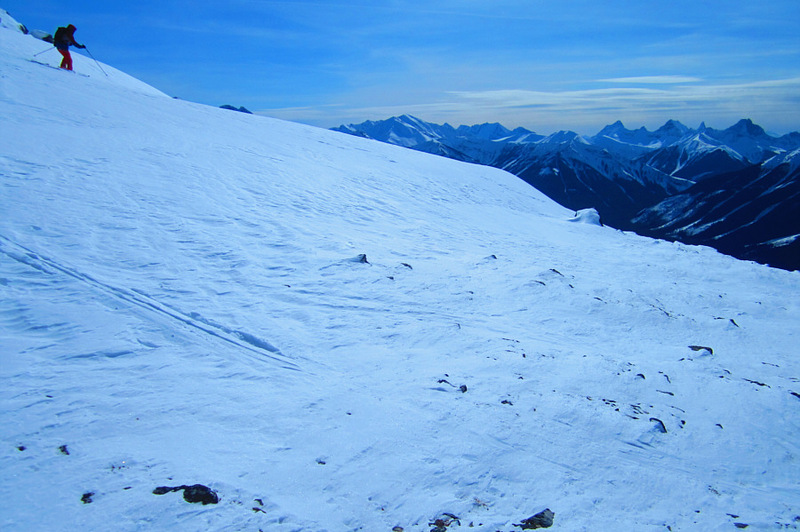 Zosia heads for one of the ski tracks running across Sunshine Meadows to Quartz Hill (centre) and Quartz Ridge (right). 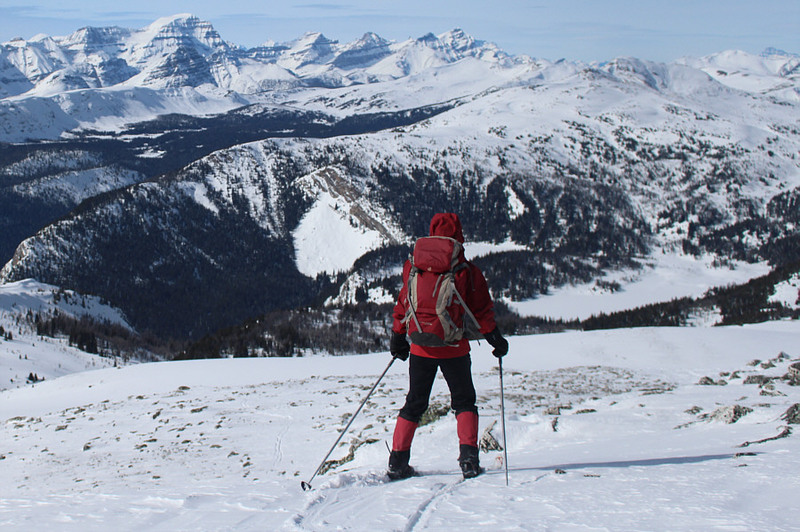 Mount Assiniboine is partly visible over the shoulder of Quartz Hill. Behind a smiling Zosia are Twin Cairns (left) and Mount Standish (right). Here is a closer look at Quartz Hill and Quartz Ridge. Zosia enters a shallow draw at the north end of Quartz Ridge. The Monarch is visible behind Zosia as she pauses for a brief stop on her way up Quartz Ridge. 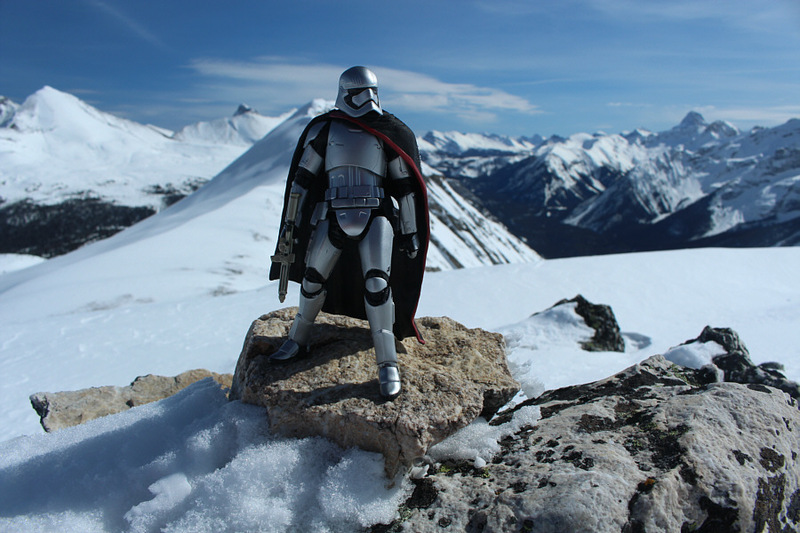 Sonny skins up the ridge. 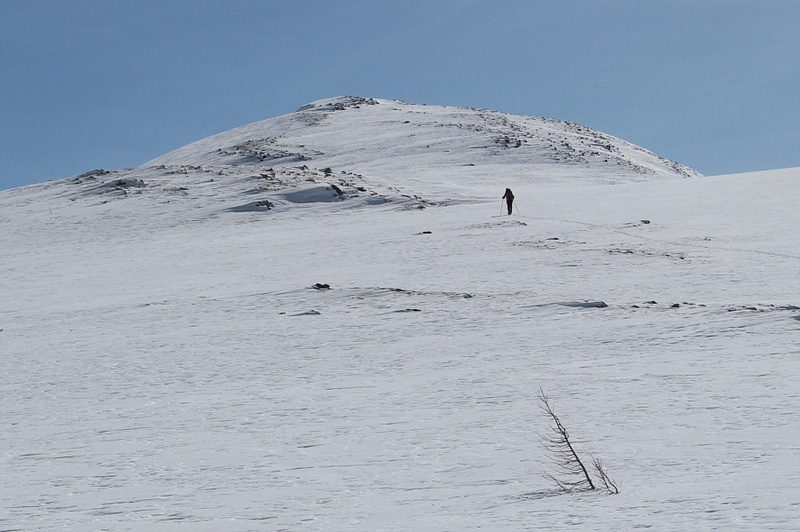 The ridge is very broad and not particularly steep. Zosia continues to climb up the ridge. 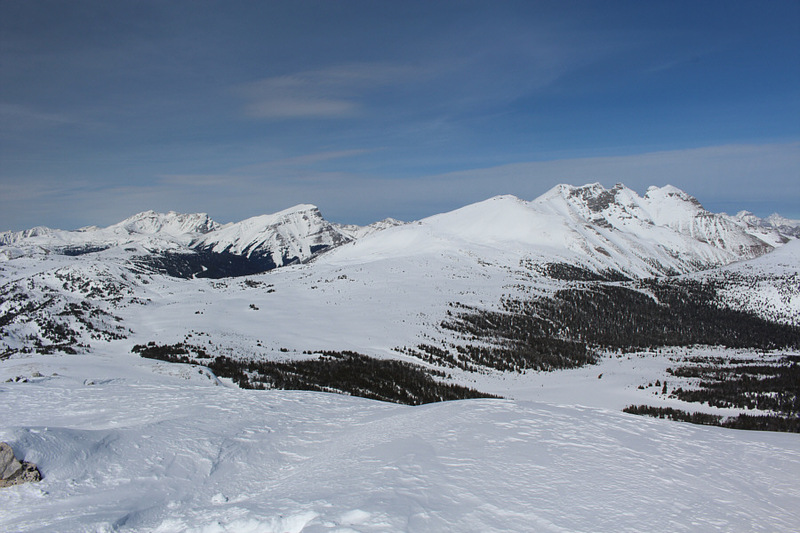 On the horizon behind Zosia are Mount Selkirk (far left), Catlin Peak (just right of Zosia) and Split Peak (right). 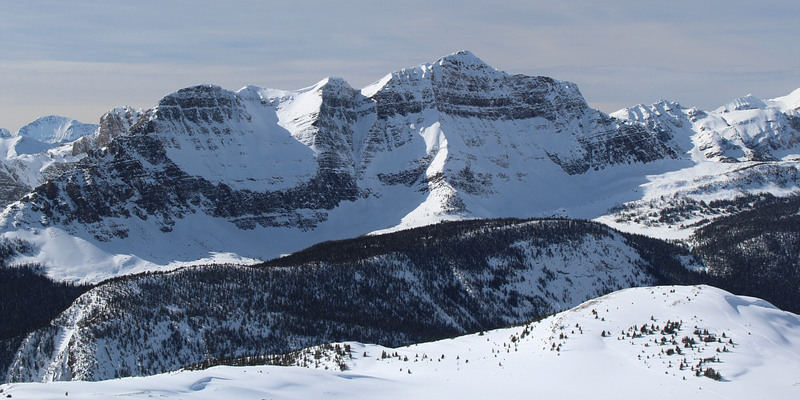 The pointy peak at centre is an outlier of Split Peak and is unnamed. Undeterred by a few rocks, Zosia easily maneuvers her way up the slope. 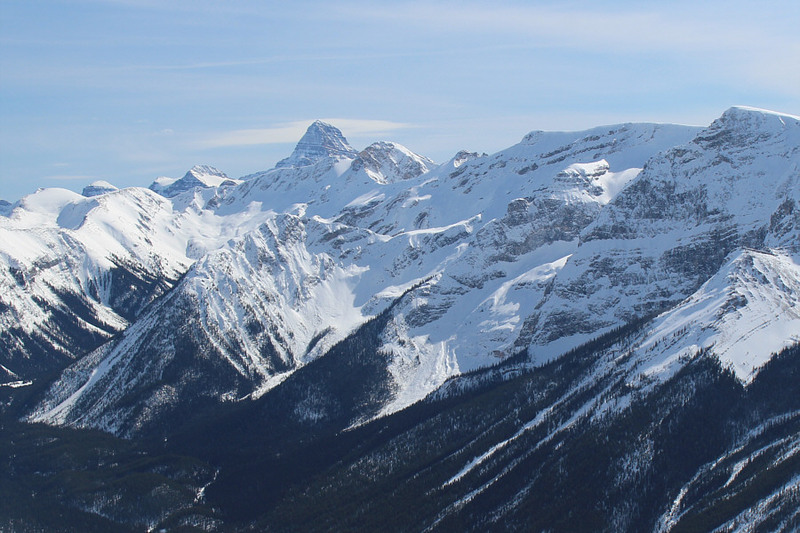 Zosia and Sonny stand on the 2533-metre high point of Quartz Ridge. The Monarch looks majestic on this day. Mount Ball is the most recognizable mountain to the northwest. 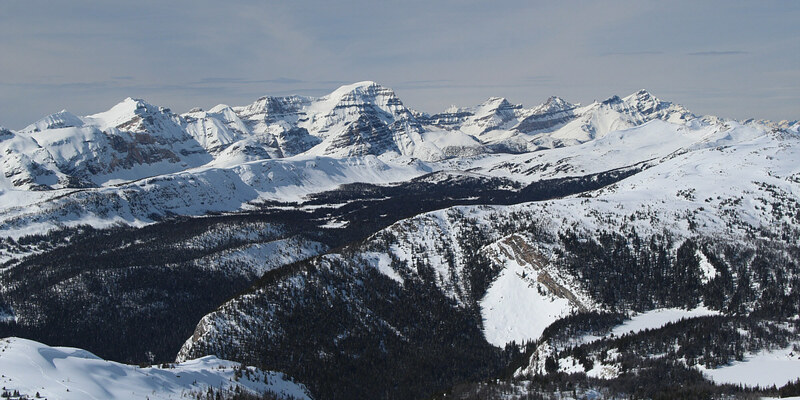 In this view to the north, Mount Brett and Mount Bourgeau can be seen at left while Mount Howard Douglas is the rightmost of the peaks at right. Quartz Hill (right) beckons to the southeast. 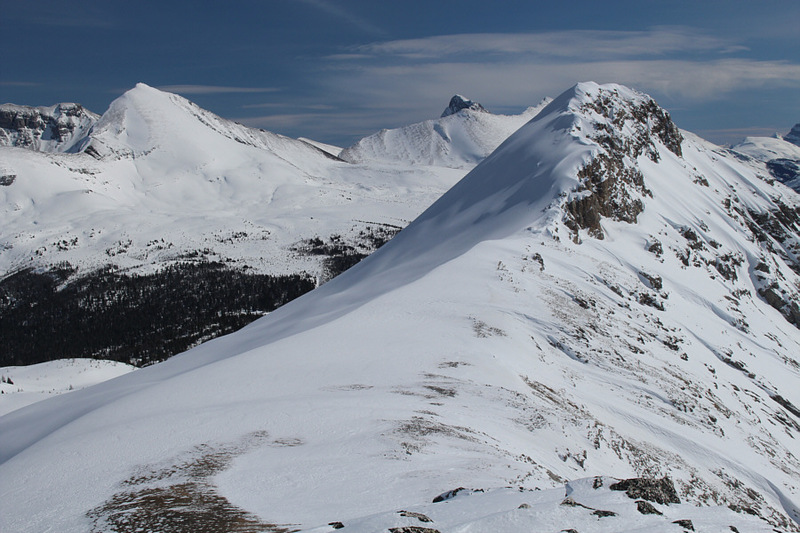 Also visible are Fatigue Mountain (left) and Nasswald Peak (right of centre). 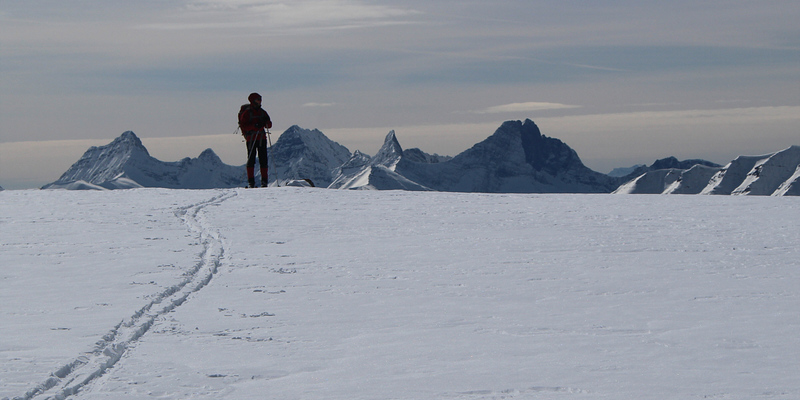 Further south, Mount Assiniboine pokes up above the intervening ridges. Zosia begins her ski descent. Sonny actually looks like he is skiing! Sonny slowly makes his way back across Sunshine Meadows. 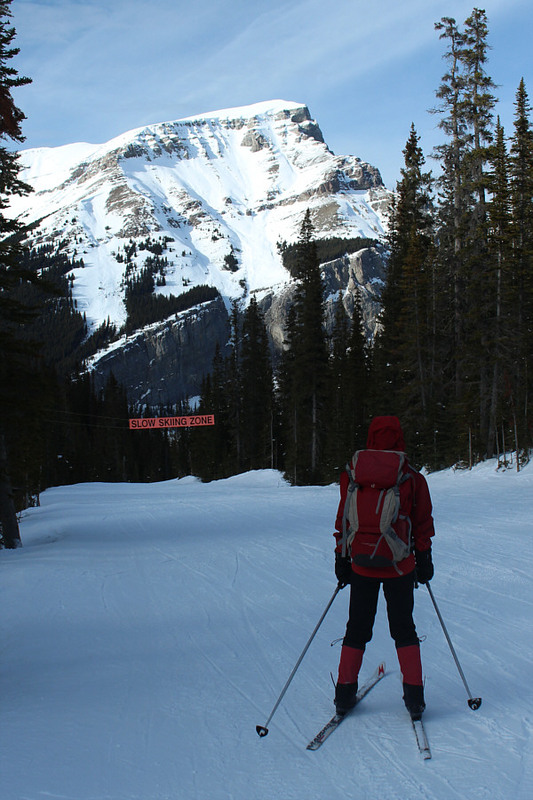 Zosia enjoys the view of Mount Bourgeau as she descends the ski out.